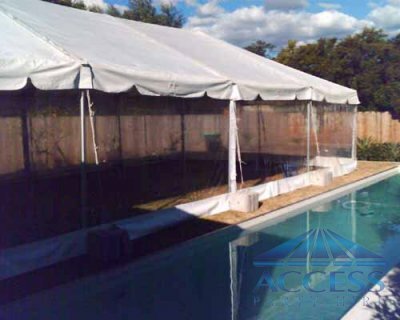 Access party hire can provide you with wide range of Free standing Marquees 6m wide and up to 18m long. Perfect size for medium size of backyard. Suitable for up to 150 guests seating inside with chairs and tables. Can be erected on Grass, Concrete, Top of the Roof or over your Swimming Pool.